My helds have started developing holes at the fingertips. They have done well over the last 40K miles and 5 years. Now that I have heated gloves for winter I was looking at more cooling focused gloves. Im looking to spend under $200. 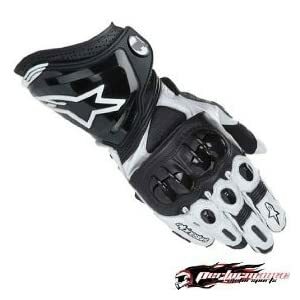 And after trying on 4 different types of AlpineStars am totally unwilling to consider that brand, they just dont fit my hand at all, Im some where between a large and extra large, where as in Teknic, Gerbings, and Held Im a medium, and the AlpineStars hurt my hand when I close my fist. Im open to other brands but would like to be able to try them on before buying. The Thrux is a darn good glove, especially for the price. Helds are pretty good gloves in general. That's a shame. I really want to try these. I do love my heroics, but I had a seam come apart in one of the fingers after a season and a half of riding. Apparently that was a problem on the older model. I have the Held Airstream gloves. About a yr now. They are a great fit and have held up nicely. They are pretty good for when its hot. And I have ridden w/ them down into the 50's and they have been OK. So where is the best place to pick up some Helds? Since you ask... but I'm in G-burg. MD, you're in Hoodbridge. Not sure where to tell you. But.... if you get up my way into Gaithersburg, Battley Cycles has a pretty good in-stock selection. Do they have phantoms or titans in stock there? I want to try them on before I spend all that money. If you were to take the measurements of your hands (circumference around knuckle area, finger length, etc) I'm sure the customer service at places like revzilla.com or sportbiketrackgear.com could help you get fitted with a glove. That's what I've done for some of my gear and they've been pretty spot on. I heard that the Titans dont fit as confortable as the thrux, specially in the finger area. I'm shopping for gauntlet gloves with the scapoid (spelling) sliders AND great cooling. Check out Sportbiketrackgear's review of the Teknic Excellerator. Each knuckle protector has several vents. The back of the hand has a big vent Teknic calls a "airblade". Price is about $155-$170. Ironic, I was just looking again as Ive been dragging my feet on buying. But another hole wore though, on the thumb. With the Thrux, and Knox, and Xcelerator leading the way. Just havent figured out where to go. Big fan of Held, and still love Teknic, never tried Knox. I am a criature of habit, and once I find something that works, I stick with it. Go with the thrux and call it a day. Last edited by knonfs; August 4, 2011 at 08:53 PM.. I have a pair of teknic speedstars (similar to the xcelerators) and they have been through hell. even got ran over by a bus once. they are great gloves and I wouldn't turn down a second set. but i replaced them with a pair of held phantoms. the build quality is in whole different league. way better constructed, way more protection, way nicer feel. they're also a shitload more expensive. but the full roo is nice since it stands up to sweat/water a lot better. got the phantoms for 240 shipped, but there may be better deals floating around. That's a pretty good deal. Where'd you get em?